Food Additives - Yuck! - What is in YOUR Food? salad dressing from separating and gives your margarine its pleasing yellow color, but at whose expense. Don’t let food additives make you sick! Additives are in almost all packaged foods. Many of the ingredients added to food are harmful. And it's even legal for food manufacturers to add cancer-causing additives to the food they produce. Food Additives are chemical compounds that we would not normally eat, but which change the properties of food. They are used in manufacturing processed foods. Additives can make food last longer, or change its taste, smell, color or texture. Additives such as preservatives can undoubtedly save lives, by stopping dangerous bacteria from growing in our food, but most food additives are used for purely cosmetic purposes, making processed foods look and taste better than they otherwise would. If a product is labeled as being 'strawberry flavor' it probably doesn't contain any real strawberry at all. Natural flavorings don't have to come from the plant or animal you might expect. 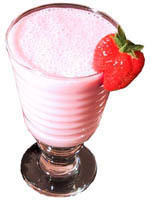 For example, strawberry flavor products can contain natural flavorings that have never been close to a real, natural strawberry. Isn’t this scary? Expert say, in small doses of these ingredients added to our food is harmless, but large doses are not. But the thought of any amount in your food would be alarming … my decision - I would do without the food. In some products, food additives are so essential that they are retained even in organic foods. Preservatives, colors and flavors are the best known food additives but in fact there are many categories of additives, each tailored to a specific purpose. 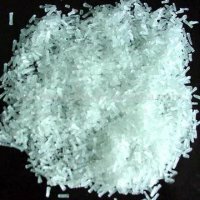 MSG – Is it really safe? Monosodium glutamate, commonly known as MSG, was thought of as a "miracle food enhancer" when it was first introduced to the public over five decades ago. More than just a seasoning like salt and pepper, MSG could actually enhance the flavors of foods, making processed meats and frozen dinners taste fresher and smell better, salad dressings more tasty, and canned foods less tin-like taste. It wasn't until people started having side effects after eating foods with MSG that some began to question whether this miracle flavoring was too good to be true. Here's what MSG looks like close-up. How much MSG is Americans really eating? A frightening thought. While many Americans are aware that MSG is not good for you and avoiding the MSG word all together, they perhaps are being misled. You see food manufacturers knows people prefer not to have MSG in their food, so they hide MSG under names that consumers won’t recognize such as hydrolyzed soy protein. Some manufacturers have also gone so far as to list "No MSG," "No Added MSG," or "No MSG Added" on product labels when MSG is still present, but exists only as a constituent in another ingredient! According to the FDA, food additives play a vital role in today's bountiful and nutritious food supply. It allows our growing urban population to enjoy a variety of safe, wholesome and tasty foods year-round. And, they make possible an array of convenience foods without the inconvenience of daily shopping. Shopping was easy when most food came from farms. Now, factory-made foods have made chemical additives a significant part of our diet. Most people may not be able to pronounce the names of many of these chemicals, but they still want to know what the chemicals do and which ones are safe and which are poorly tested or possibly dangerous. MSG, sodium nitrite, BHA, BHT, potassium bromate, hydrogenated vegetable oil (even when it says partially), Aspartame (Equal and NutraSweet), olestra, acesulfame K, and artificial coloring(Blue 1 and 2, Red 3 and Yellow 6), flavors and sweeteners. Click here for an explanation of these food additives. Not only are they among the most questionable additives, but they are used primarily in foods of low nutritional value. Also, don’t forget the two most familiar additives: sugar and salt. They may pose the greatest risk because we consume so much of them. What is frightening to me is that today more and more people are getting cancer. Is it more additives, preservatives or artificial coloring added to our food and drinks??? People would say to me, how do you know preservatives, artificial flavoring and coloring and additives cause degenerative diseases? I tell them, I don’t know, but can you prove to me they don’t. I rather err on the caution side. There are more than 3000 different additives that are purposefully added to our food supply. Some of them are known to cause cancer! It is your personal responsibilities, for you and your family to check all labels. Please be aware that this information is provided for information only and you should consult your healthcare professional. It is neither intended nor implied to be a substitute for professional medical advice. Always seek the advice of a qualified health provider prior to starting any new treatment or with any questions you may have regarding a medical condition.